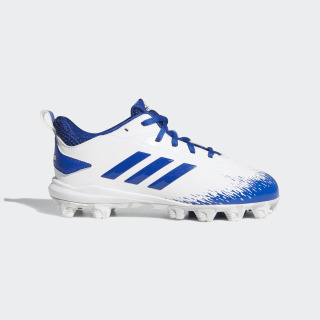 Lightweight cleats built for speedsters. Turn his speed into a weapon in the lightest baseball cleats in the game. Built for the current superstars of the diamond, they feature enhanced support and stability as he takes the extra base. A durable leather upper and abrasion-resistant toe cap powers through the entire season. A moulded rubber outsole offers multi-surface traction for the batter's box and the outfield.